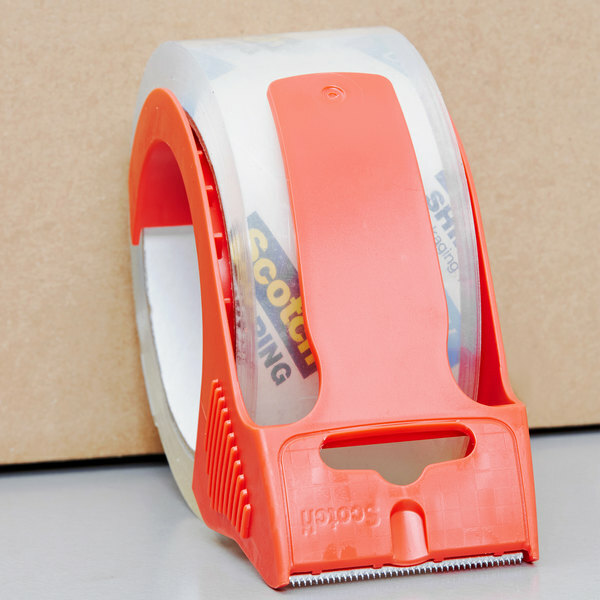 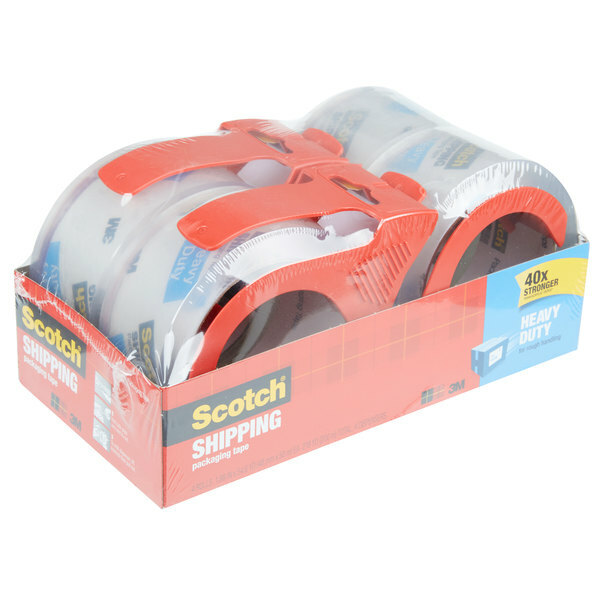 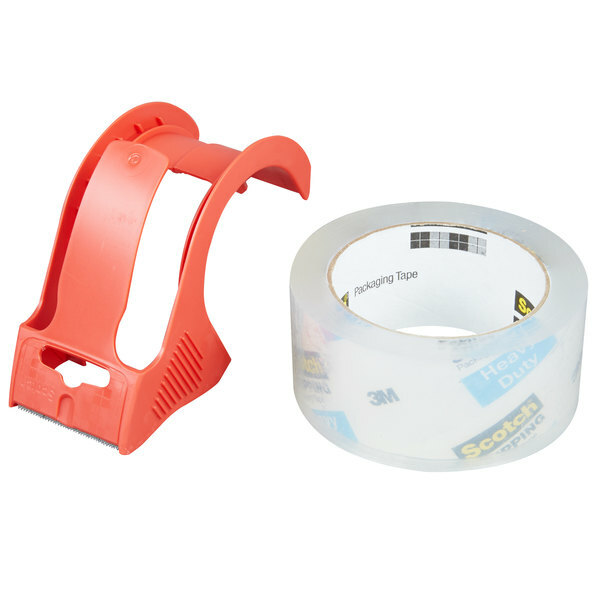 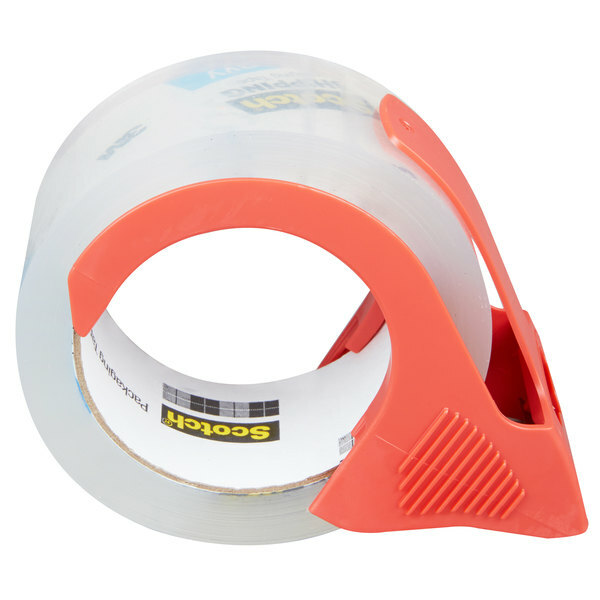 Ship, seal, and protect heavy packages with this 3M 38504RD Scotch® 1 7/8" x 54.6 yards clear heavy-duty shipping and packaging tape with dispenser! 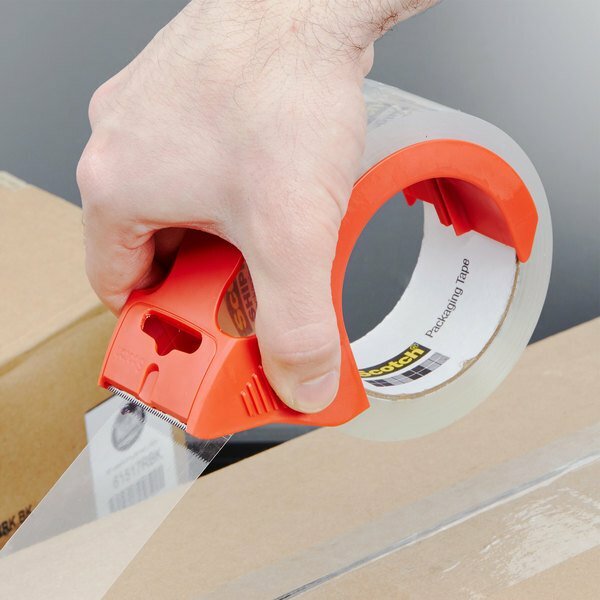 This versatile tape is excellent for long-term storage or shipping. 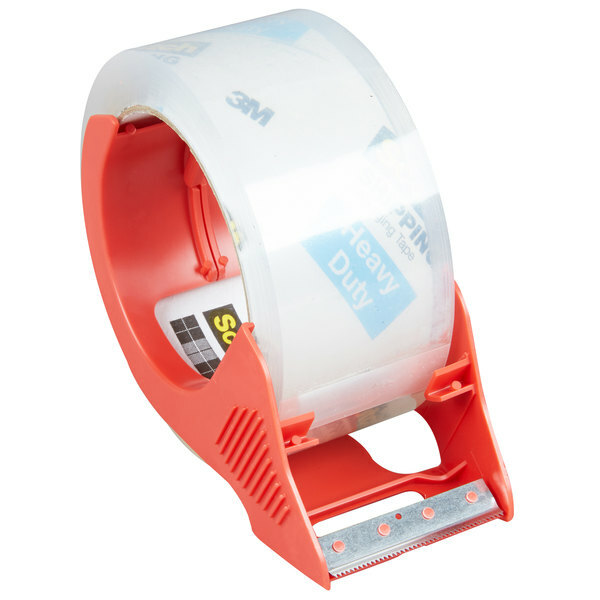 Its crystal clear construction allows the user to see through to the core, making it great for protecting important labels. 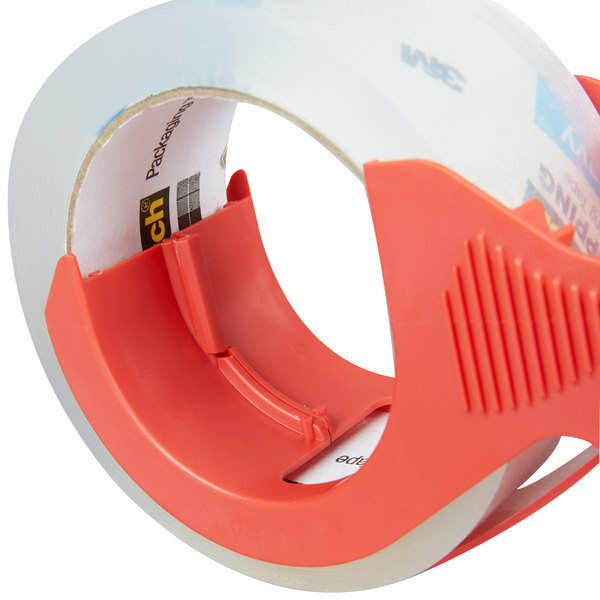 This tape is designed to meet U.S. 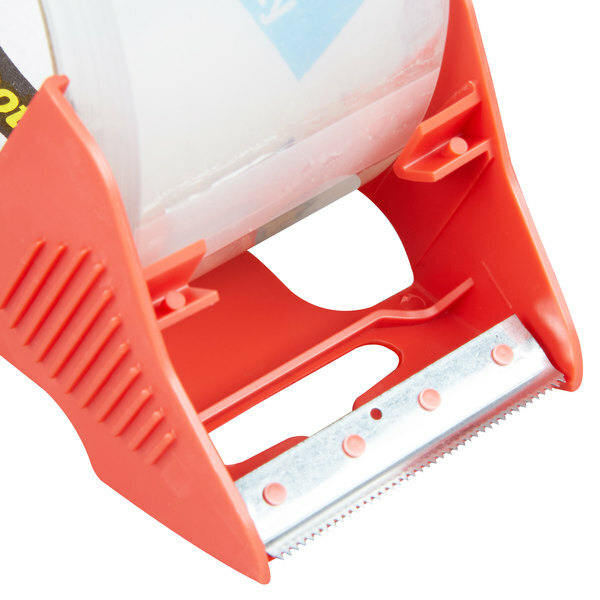 Postal regulations. 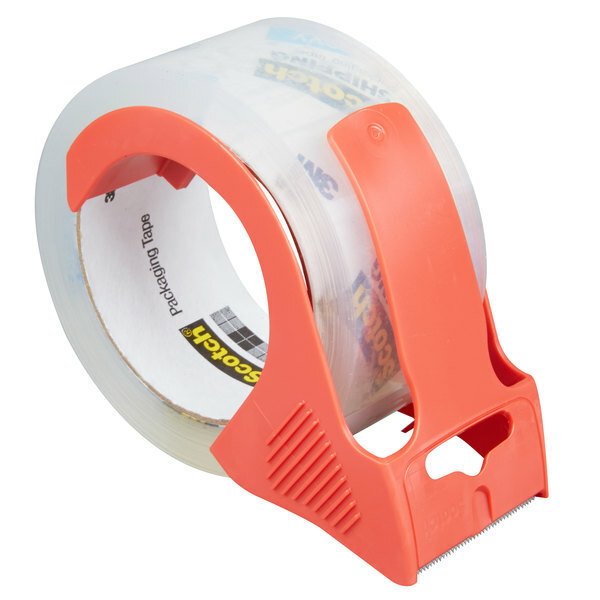 Its heavy-duty polypropylene construction with hot melt adhesive is an astounding 40 times stronger than comparable acrylic tapes. 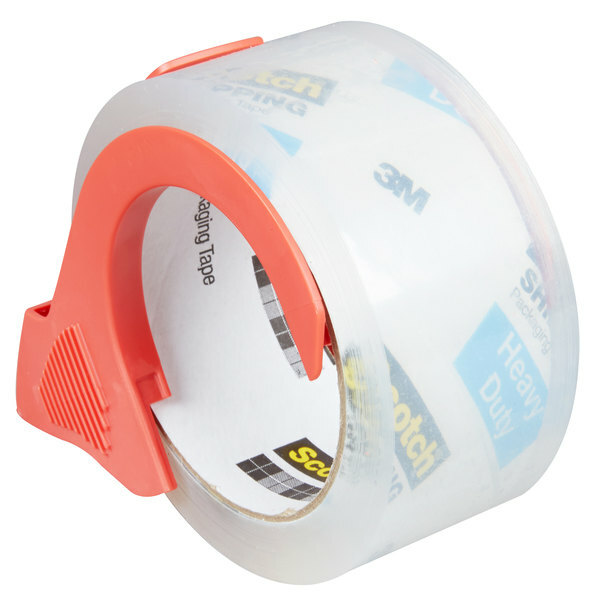 Plus, it comes with two convenient dispensers for easy tearing. 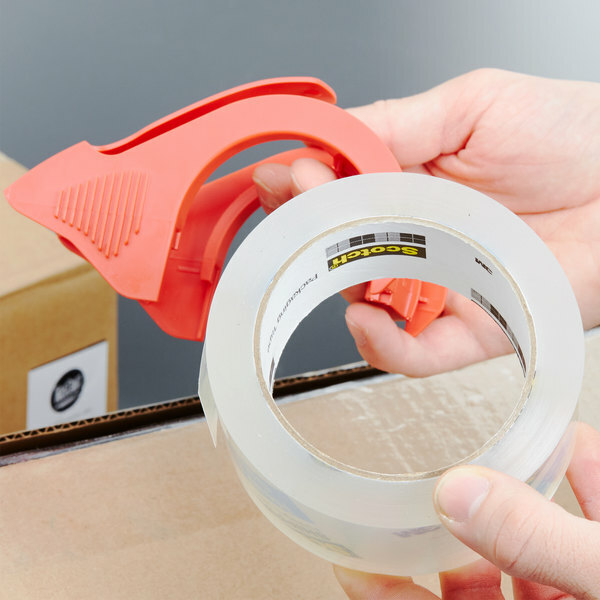 Keep it in your warehouse or business to ship heavy packages without worry.